Trusted by more than 100,000 users searching for more than 1 million products. Shopsy is one of those startups from Pakistan which is becoming the go to place for shopping any product with its massive product catalog and cool & user friendly search interface. 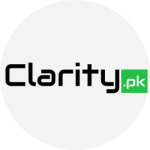 Shopsy.pk is a search engine that helps online shoppers discover products and compare prices from Pakistan’s most trusted online stores. Shopsy currently has over 1 million products, from DSLR Cameras to women’s handbags, making it one of the largest ecommerce sites in Pakistan. Shopsy’s vision is to become the first point of contact for online shoppers in Pakistan, just the way Google is for web search. With over 1 million products to compare prices and save money on your online shopping, Shopsy is all set to become a household name in Pakistan. Shopsy aggregates 1 million products from Pakistan’s most trusted stores on a daily basis to provide users with the latest products and prices available online in Pakistan. Shopsy adds websites to its index automatically. If any online merchant wants to list their website, they can request through their contact page. Shopsy’s current focus is to add Pakistan’s largest shopping sites (10,000+ products) to their index, with the intention of pursuing smaller sites later on. Apart from its modern, fast, and interactive search tool, Shopsy provides online shoppers with one of the largest selection of products in Pakistan. To make a purchase, users are redirected to the partner site where they are able to buy the product. In addition, users have the ability to compare prices and find the best deal. The prices on Shopsy are exactly the same as prices on online stores. Given that it hosts a huge catalog of items, the user experience doesn’t disappoint for a single second. The service is responsive, mobile friendly, and shows good quality images and item description. There are a few sites comparing prices for niche categories, such as mobile phones. But there are no shopping search engines in Pakistan that are comparing prices across the board for all categories with an inventory of over 1 million+ products. Akhter Wahab (Chief Data Engineer). MSc Computer Science from University of the Punjab. Previously worked for Arbisoft and as a visiting faculty member at the Islamia University of Bahawalpur. Saad Bin Shahid (Chief Application Engineer). BEng Software Engineering from Foundation University. Previously worked for Discourse Analytics (USA) where his solutions served more than a million customers. Shopsy has graduated from a 6 month incubation program of Telenor Velocity in 2017 and is now seeking investment for further growth.